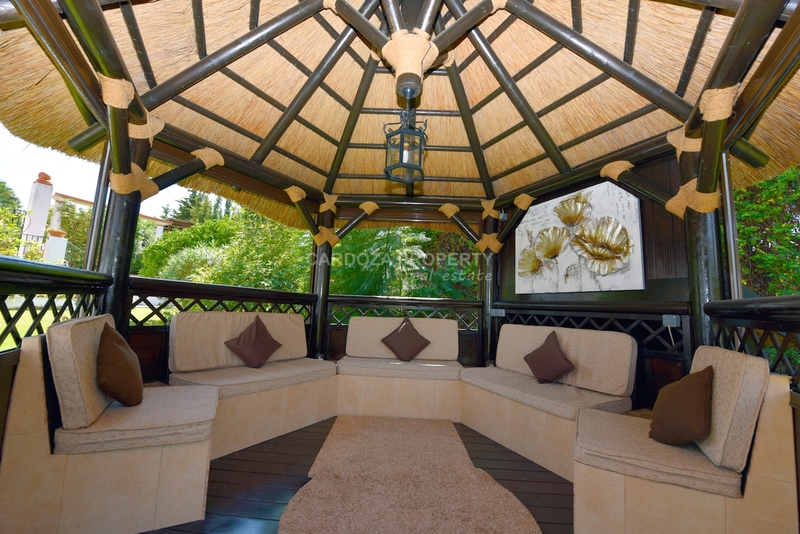 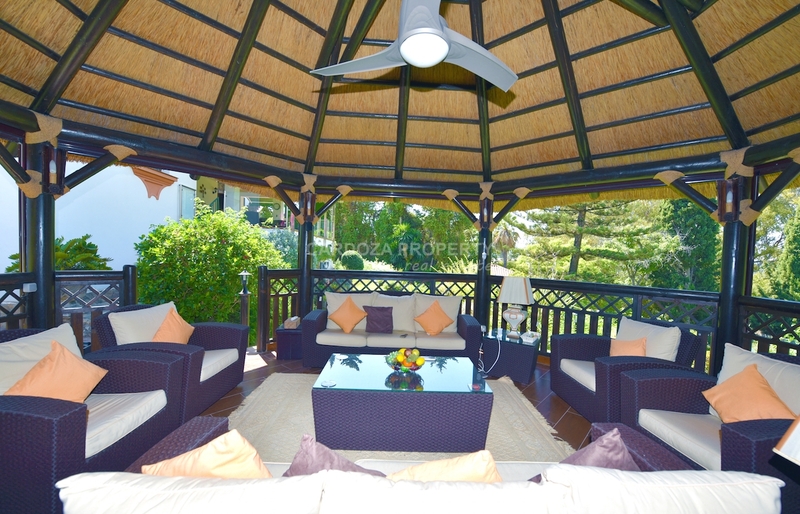 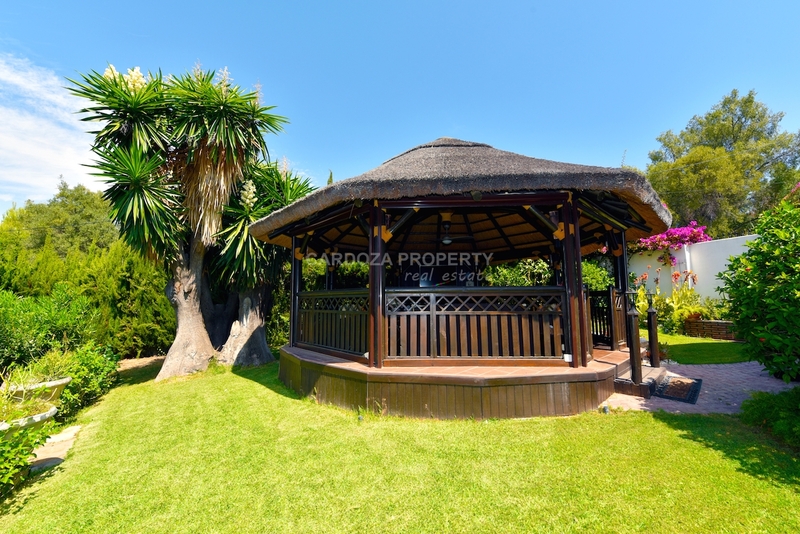 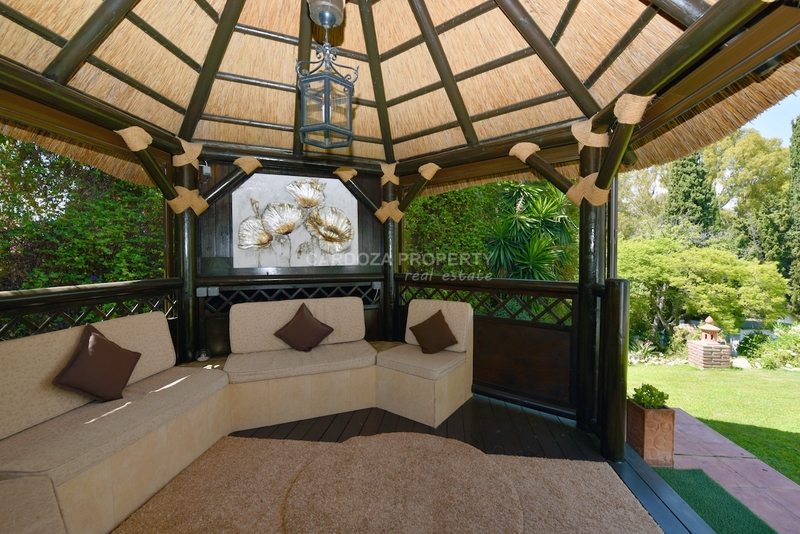 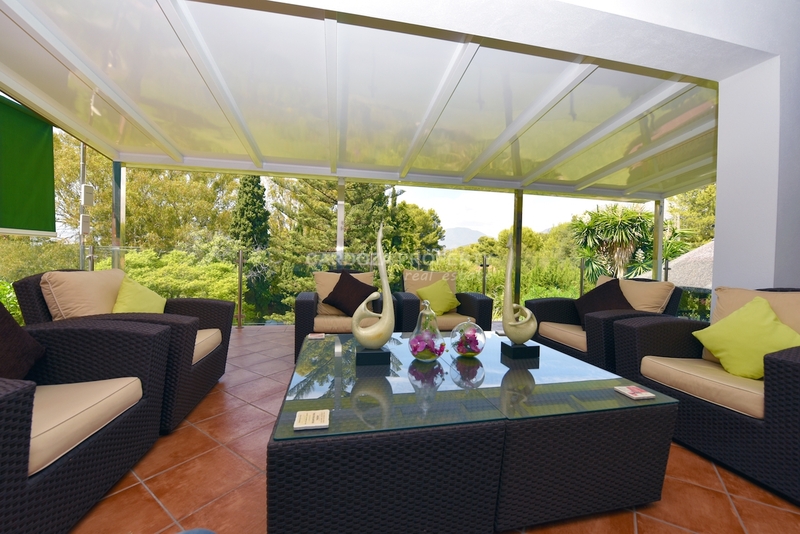 Villa Golden Mile Marbella: Beautiful Andalusia style Villa on the Golden Mile boasting wonderful outdoor space of 3500 m² gardens, with 2 large thatched Gazebos making it the ultimate entertainment area. You will also find a featured well and many mature trees, an absolute paradise to live in. 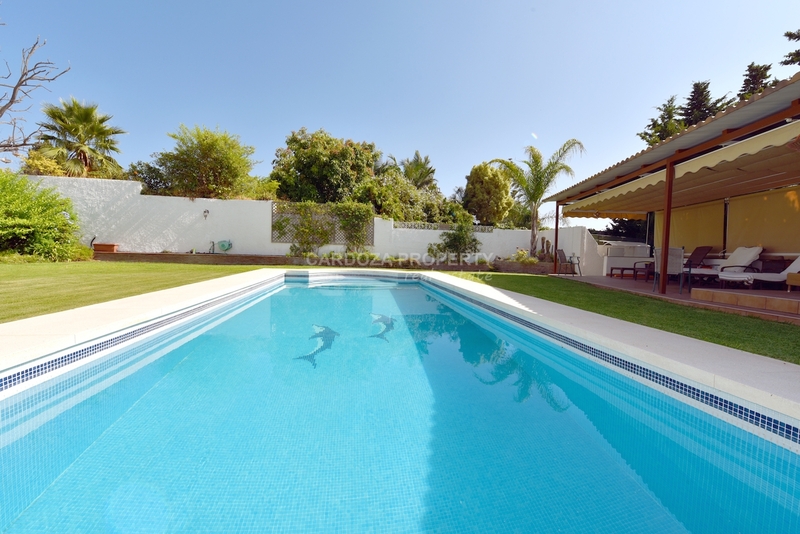 There is a large heated outdoor pool for all year round swimming , a Jacuzzi, several terraces and a gazebo with outdoor dining area and kitchen. 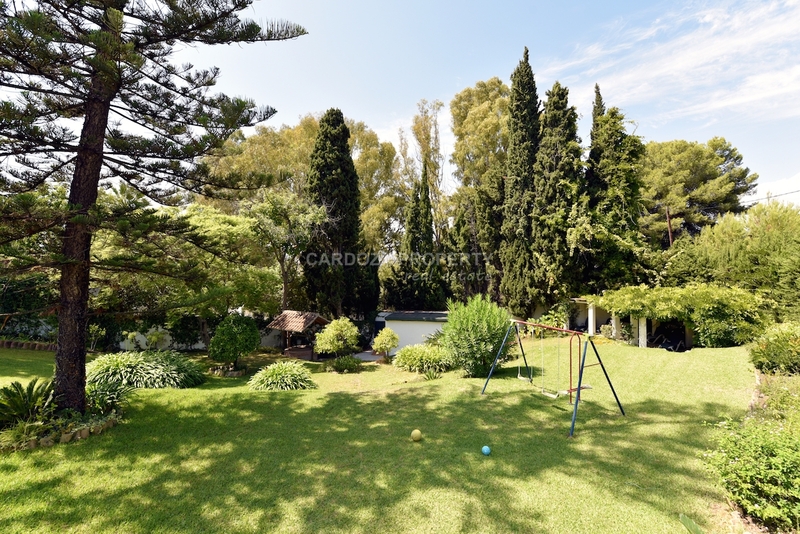 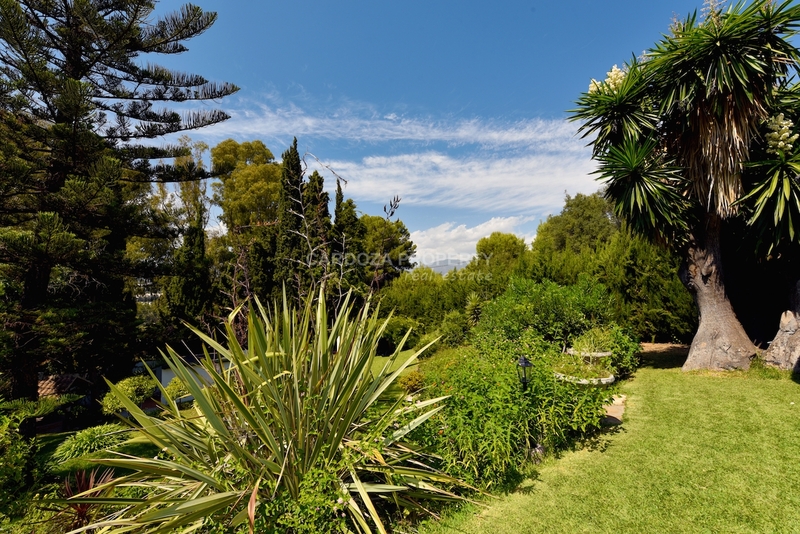 A truly fantastic garden for enjoying outdoor living Spain’s good whether allows. 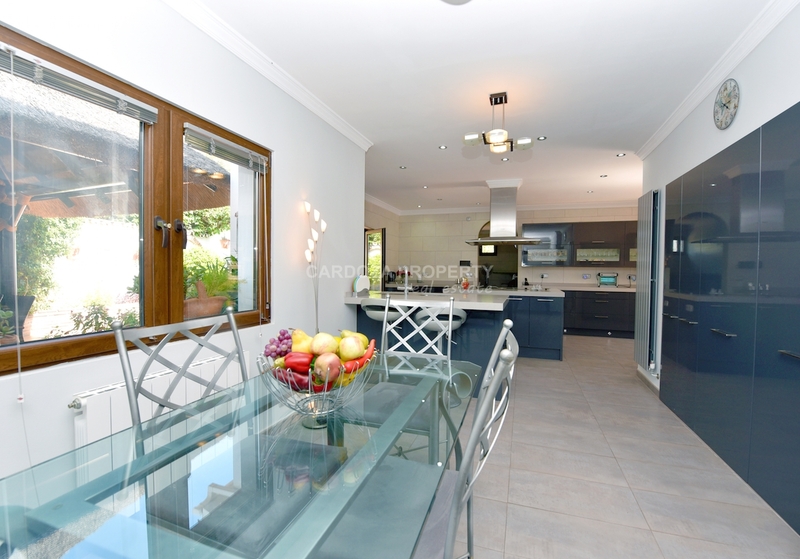 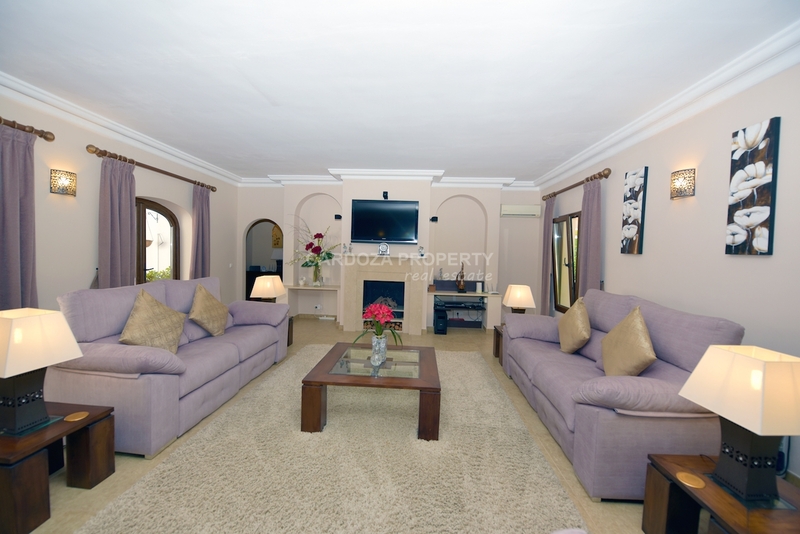 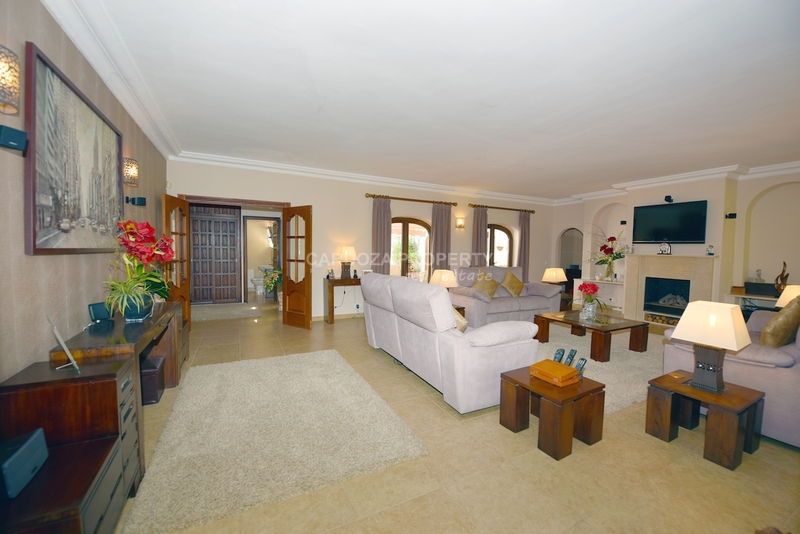 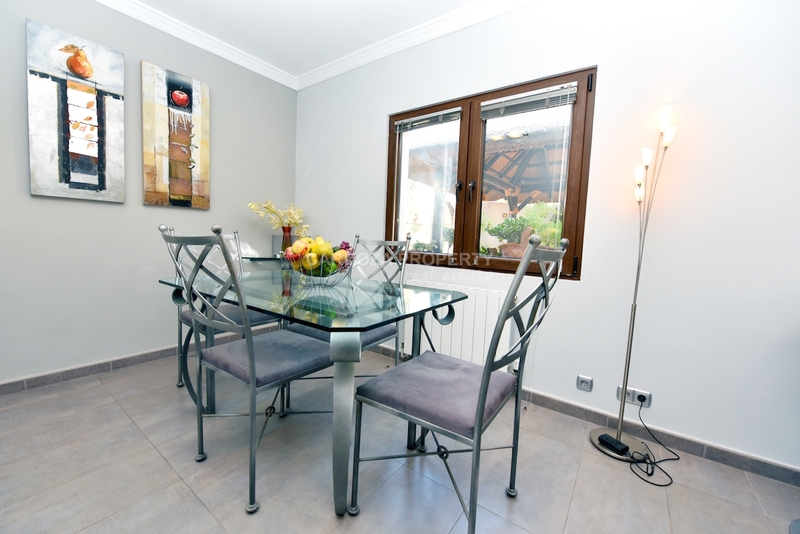 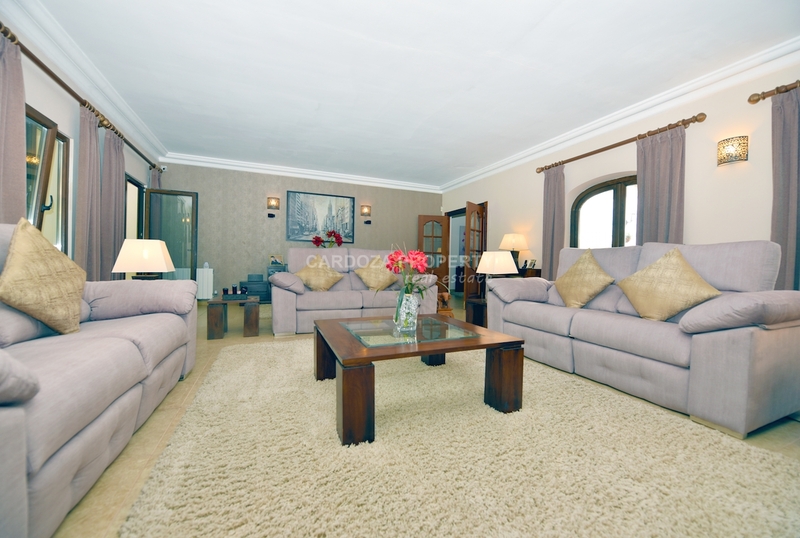 All living areas in this villa are situated on one floor level making living situation ideal for all. 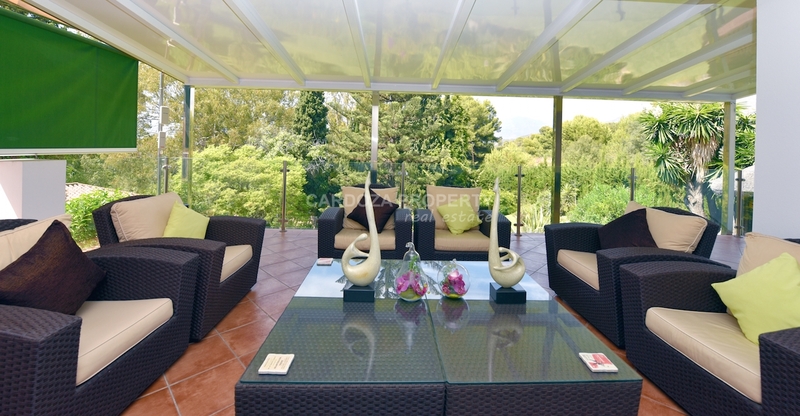 The bedrooms, lounge area and the kitchen are wrapped around the courtyard in a U-shaped. 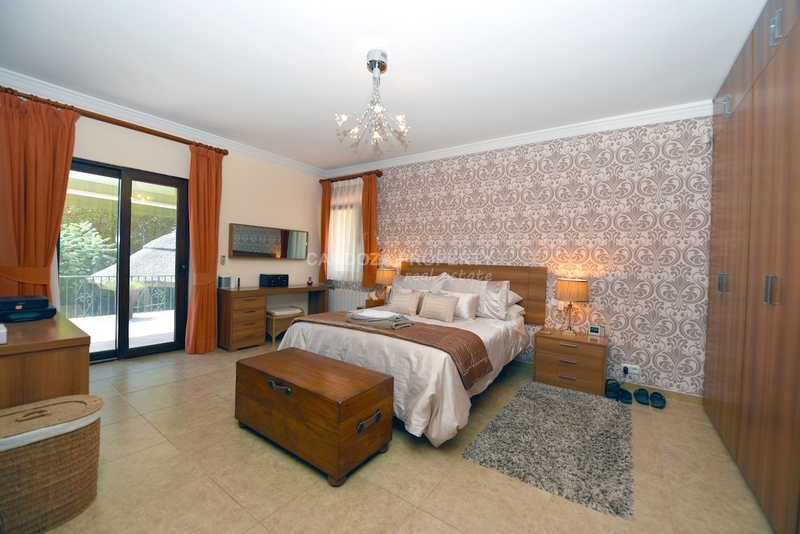 There are 4 double bedrooms all with ensuite and a fifth double bedroom which has access to the guest bathroom. 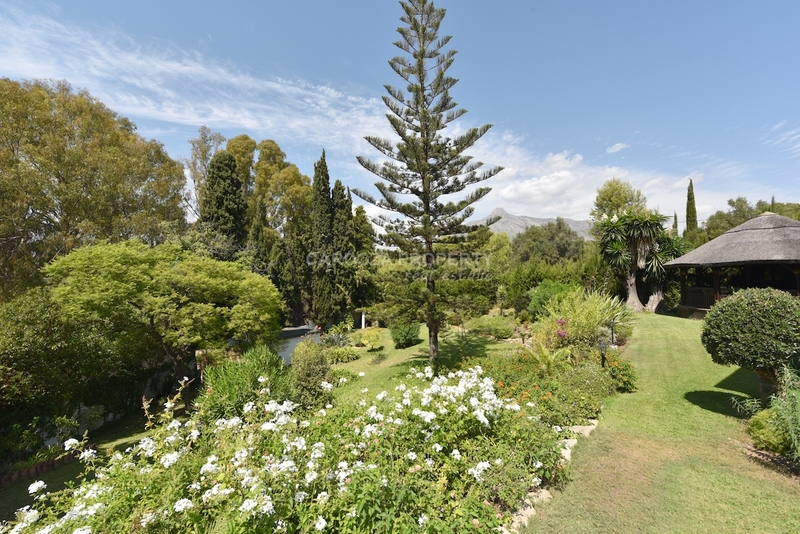 All bedrooms have access to the courtyard or to the very large feature terrace in the front with lush green amazing views over the gardens. 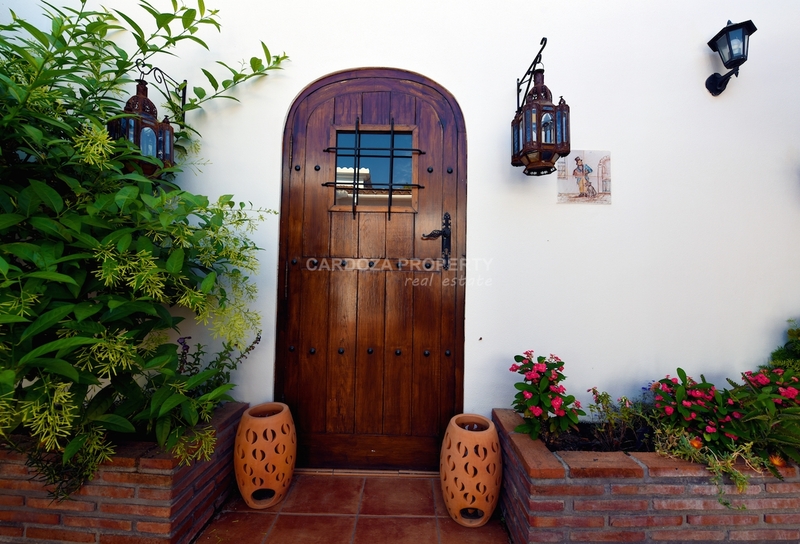 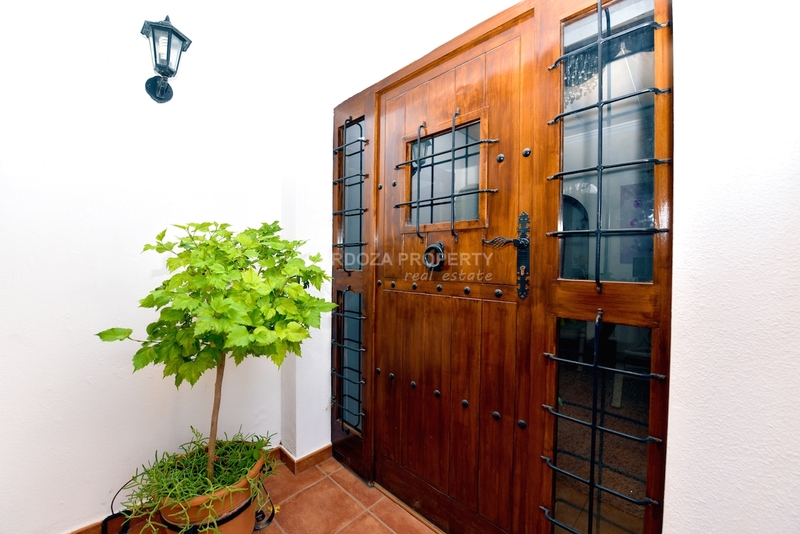 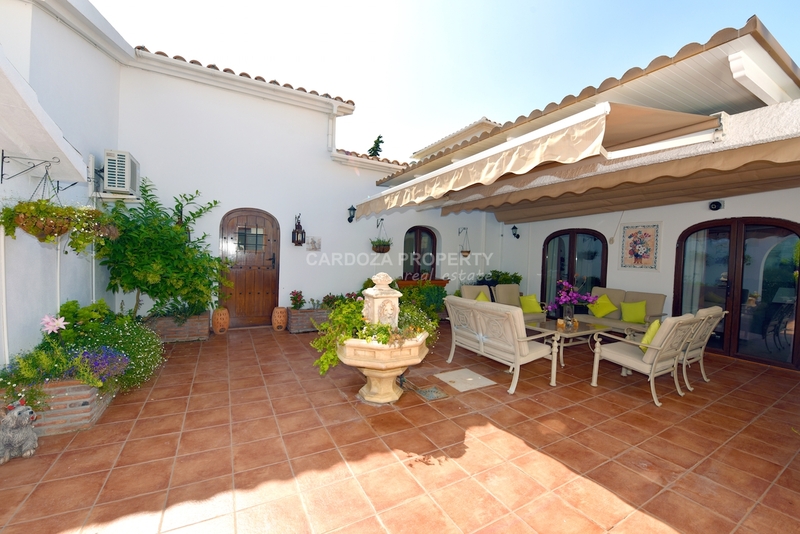 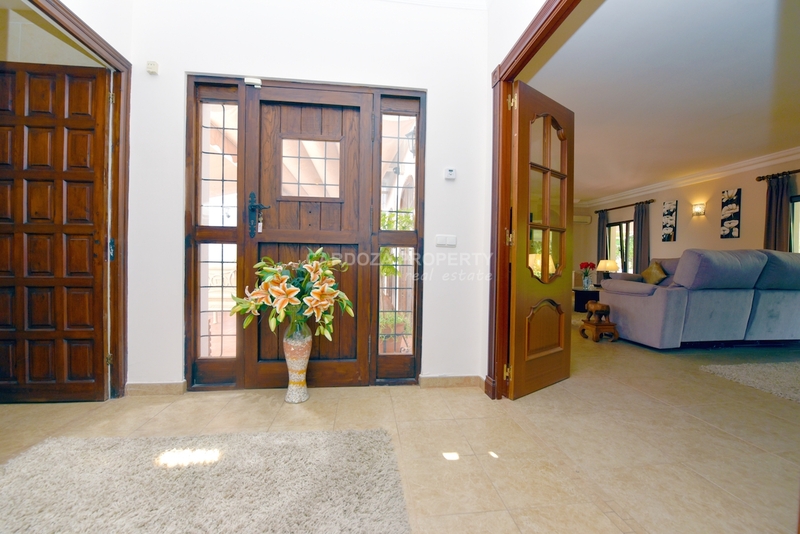 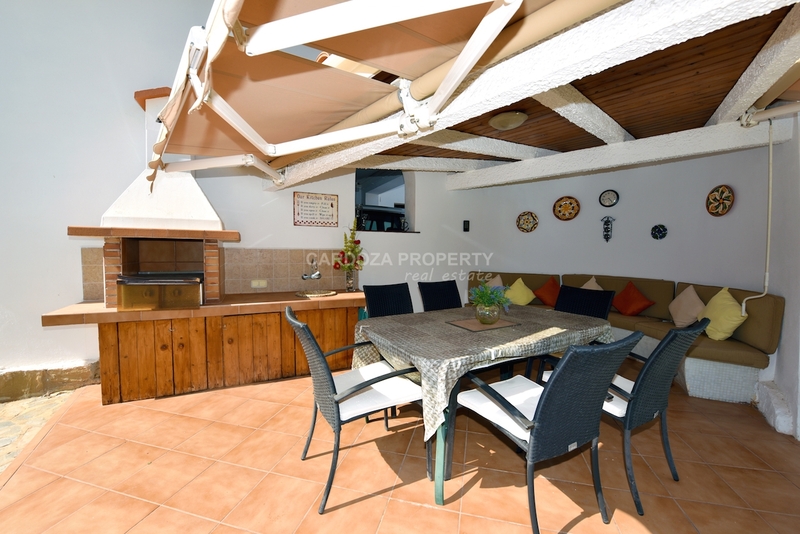 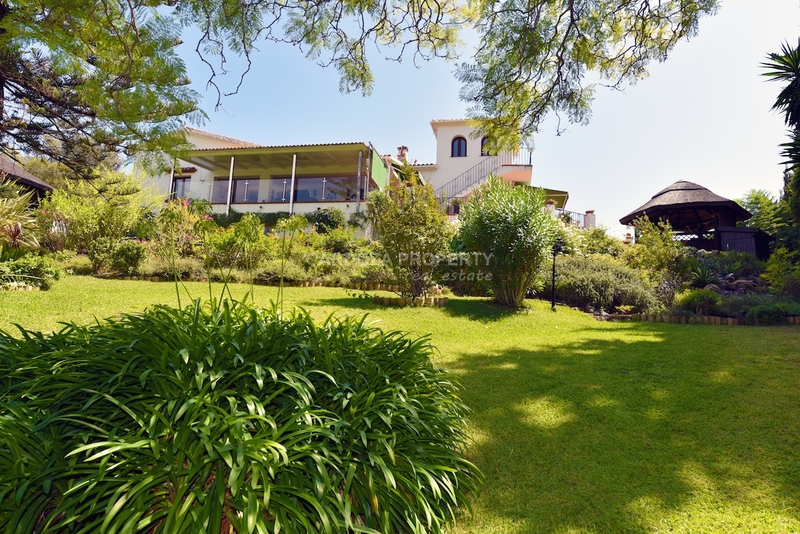 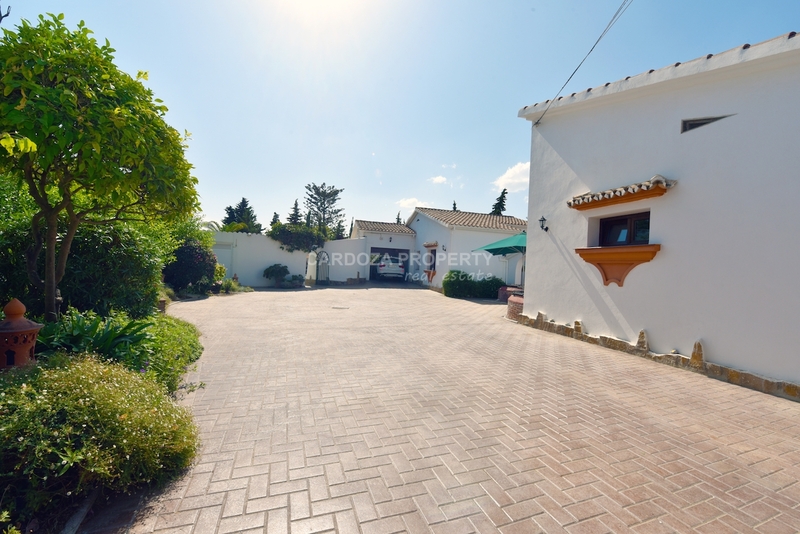 The property has two garages, one on the lower-level and the other in the very large access to the property, a beautiful Andalusian style patio which allows parking for several cars. 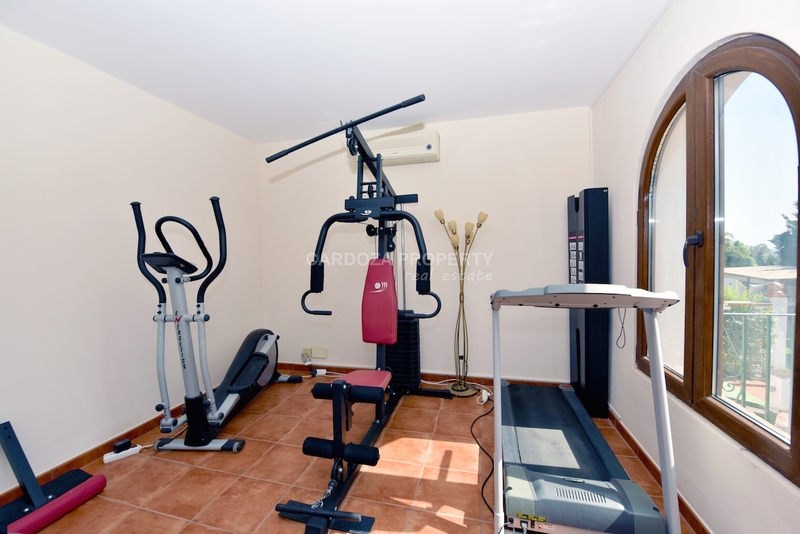 The gym can be accessed from the outside of the building one story above the property, so making it one of the only areas to use a stairway but of course if you are going to the gym why not start by using the stairs. 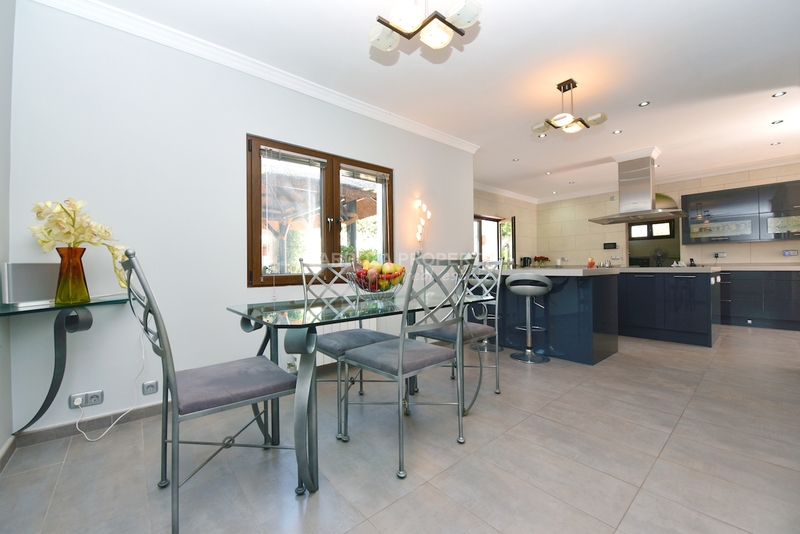 The only other use of a stairway is going to the garage which can be accessed near the kitchen and dining area. 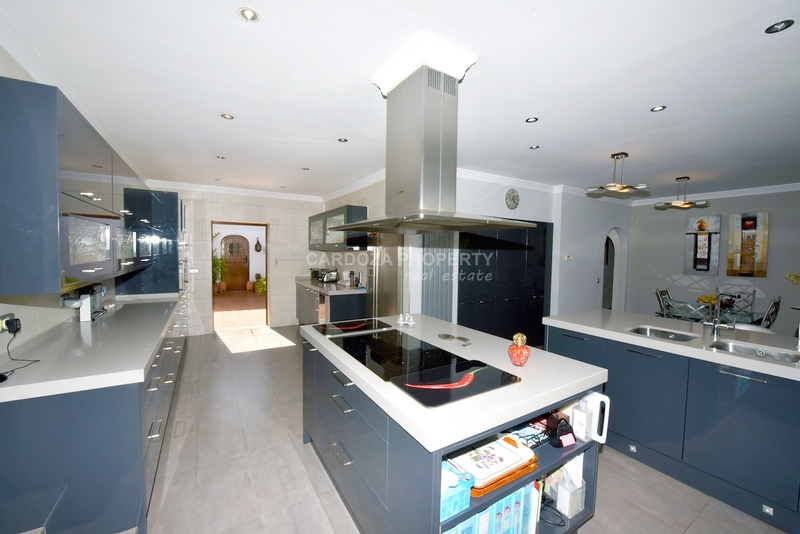 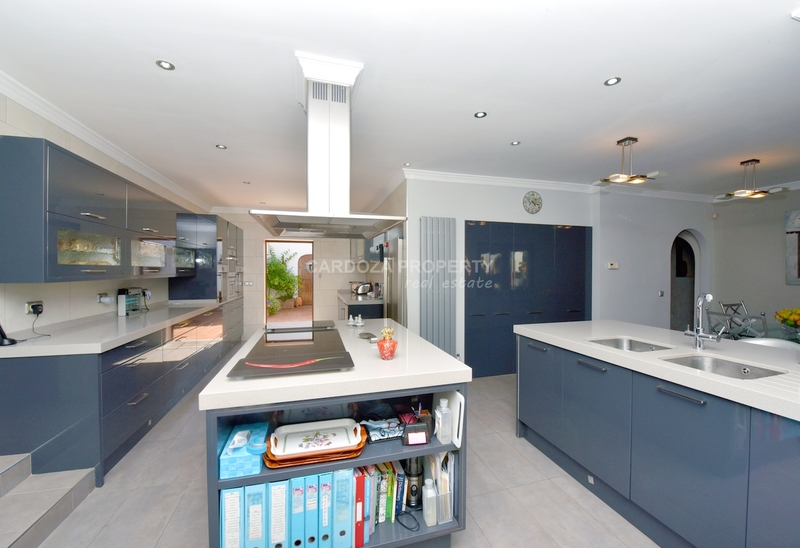 The spacious kitchen features a large central Island with hub, sink and storage space. 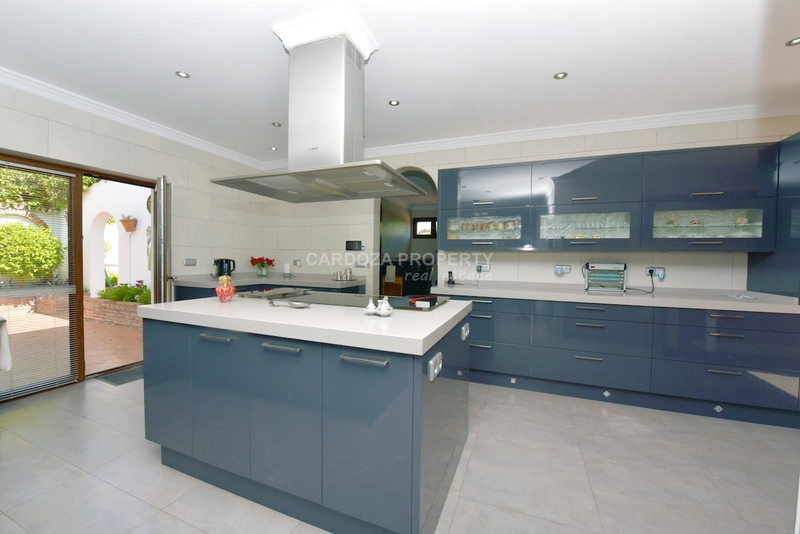 The kitchen also boasts windows and doors on three aspects making it bright and open and has top of the range built-in appliances. 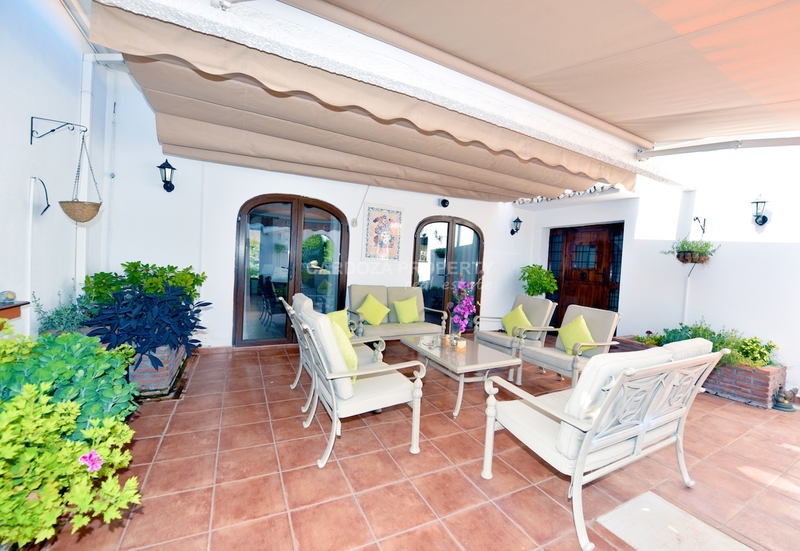 The property was initially built in 1870 and was recently refurbished to a very high standard. 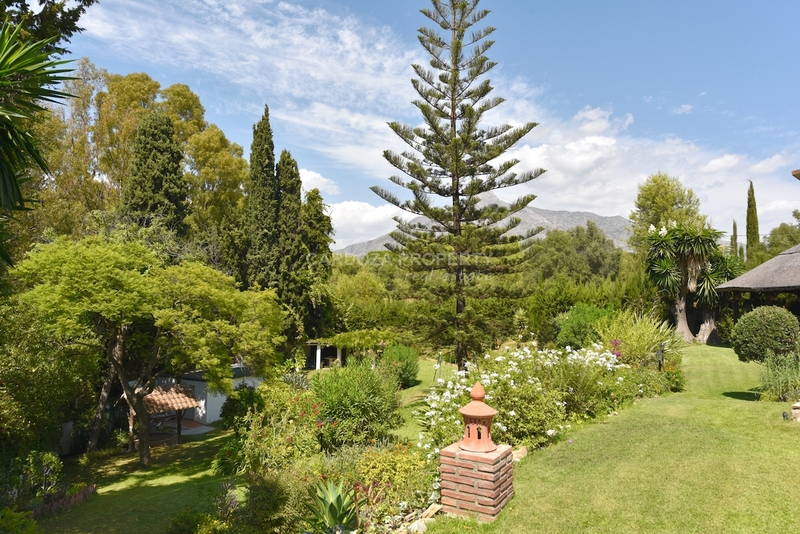 It is only a short drive away from all amenities of the Golden Mile just outside the hustle and bustle of Puerto with easy access to Marbella and San Pedro. 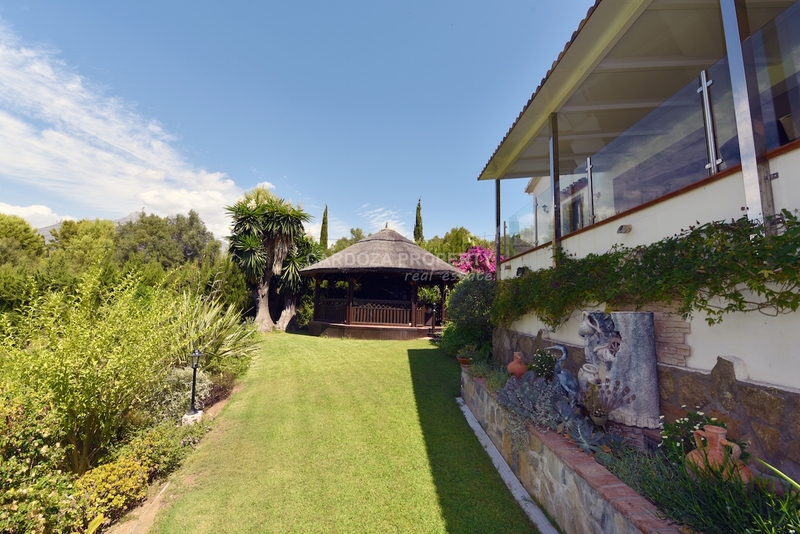 The original price of €2,695,000 has now been reduced to €2,400,000. 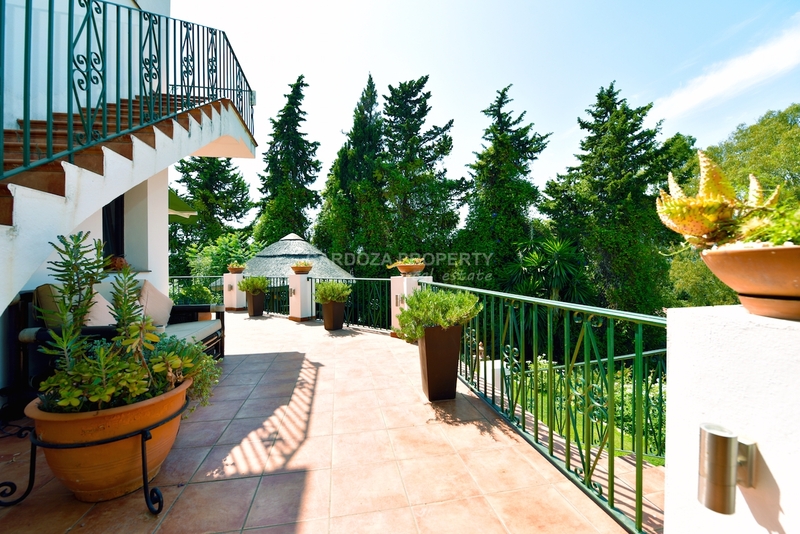 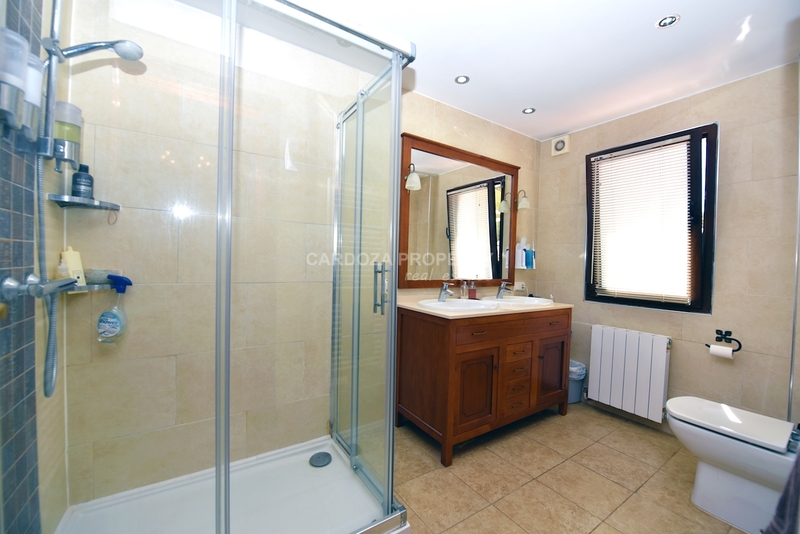 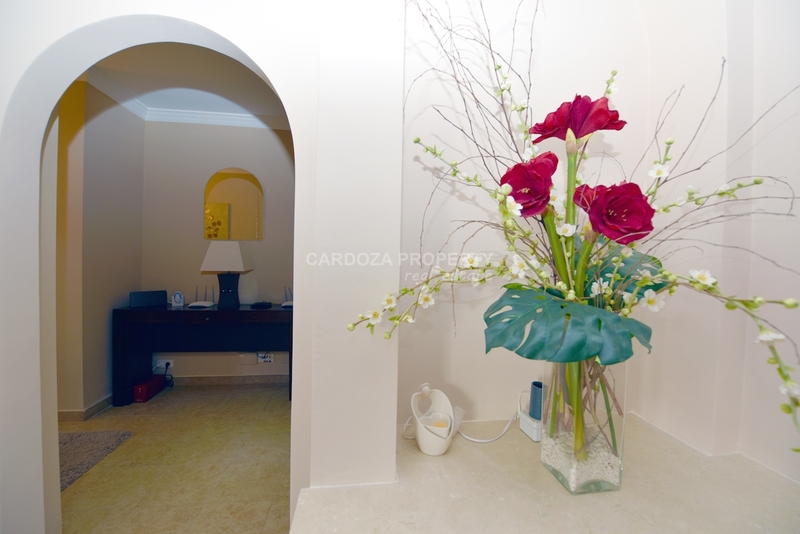 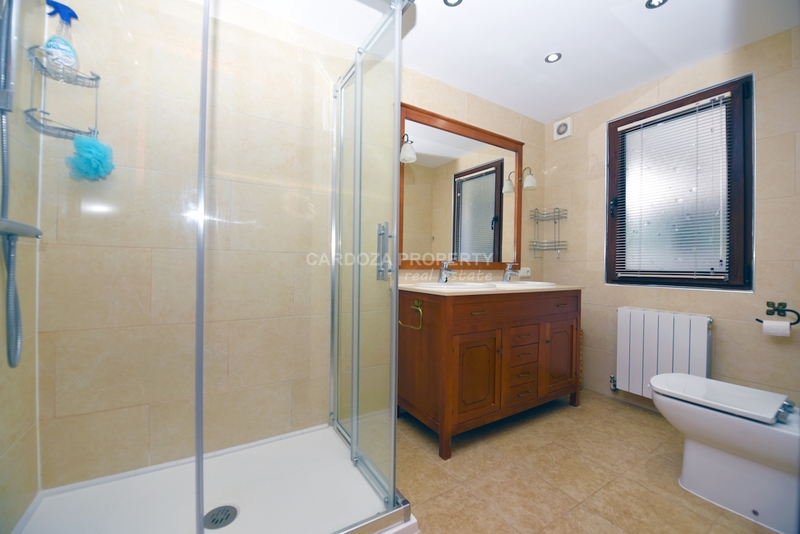 Cardoza Property highly recommends to view this property in order to appreciate.